China News Service, Xinjiang Aksu, December 12th. 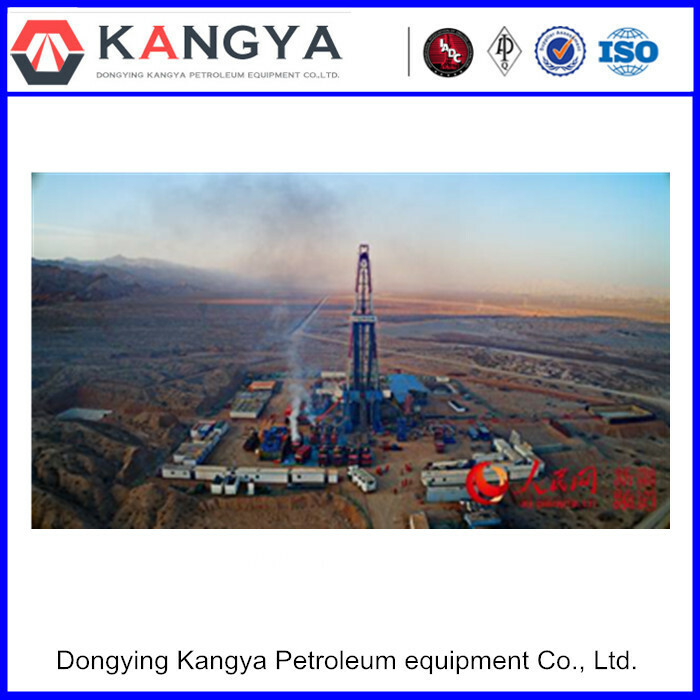 On the 12th, the reporter learned from the Tarim Oilfield of PetroChina that the well in Zhongqiu 1 of Kuqa in Xinjiang was successfully tested and obtained high-yield industrial gas flow, with a daily output of 330,000 cubic meters of natural gas and condensate. 21.4 cubic meters, marking the opening of a new oil and gas enrichment zone in the region. Cai Zhenzhong, deputy manager of exploration business department of Tarim Oilfield Company, said: "The Mid-Autumn 1 well has obtained high-yield industrial airflow. This is a major breakthrough in the key risk exploration wells deployed by PetroChina in the Qiulitage structural belt of the Kuqa depression, indicating the Qiulitage structure. There will be 100 billion cubic condensate gas reservoirs in the middle section." Qiulitage, Uighur means the place where the yellow sheep and the eagle can't get through. The mountain range is mainly the “blade mountain” like a knife and axe. The Qiulitage structural belt is located in the southern part of the Kuqa depression. The exploration area is 5,200 square kilometers, the natural gas resources are 1.43 trillion cubic meters, and the oil resources are 283 million tons. It is an important strategic replacement for the increase and storage of the Tarim Oilfield. Since the beginning of this year, Tarim Oilfield has adhered to efficient exploration, actively implemented the exploration and development battle in front of Kuqa Mountain, and increased the exploration of natural gas in Kuqa. The earthquake research and risk exploration wells have been carried out with arduous efforts and finally achieved great results. According to reports, the Mid-Autumn 1 well has strong structural deformation, poor seismic data, less adjacent well data, and difficulty in the salt top card layer. The Tarim Oilfield has selected experienced technical experts to check the wells, finely study drilling and geological design, and finally this year. Drilled on October 14. On November 21, the Mid-Autumn 1 well was successfully transferred to the oil testing operation. At present, the Tarim Oilfield is accelerating the exploration of the Qiulitage structural belt, and newly deploying the Mid-Autumn 2 well in the west of the Mid-Autumn 1 well to expand exploration results. It is understood that the Kuqa depression is located at the junction of the Tarim Basin and the Nantianshan orogenic belt. It is the “main battlefield” for the exploration of natural gas “big scene” and the construction of 30 million tons of large oil and gas fields in the Tarim Oilfield. 22 oil and gas reservoirs such as Keshen 8 have proved the resource scale of more than 1 trillion square meters of gas fields, and laid the resource foundation for the gas source of the West-East Gas Transmission in the Kuqa Depression. 1 billion tons! PetroChina (00857) discovered the largest conglomerate oil field in Xinjiang!